The MD4 is the overstable brother of the MD3. It has a blunt nose with that standard MD3 micro-bead giving it a familiar feel in the hand. Not only is the MD4 overstable, but it also has a surprising amount of glide, allowing your shots to fade more while still maintaining predictability. We bet you'll love the low profile on these discs. Whether you're facing a stiff wind, looking for a controlled hyzer line, or throwing a nice touch sidearm, the MD4 has you covered. 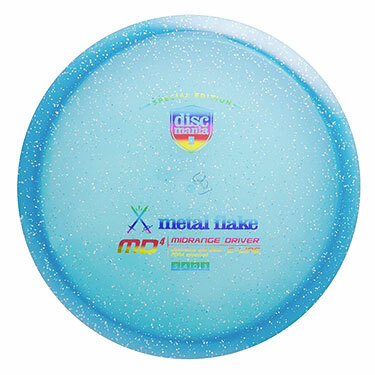 We find this disc to be much more versatile than most other overstable mid-ranges on the market due to the mix of stability and a touch of glide. Don't wait, grab yourself an MD4 and lower your score!